Balenciaga‘s popular Track Trainer silhouette has returned in a more subtle makeover in a “Black/Yellow” colorway. The familiar sneaker features a mostly black uppers along with matching outer layers and chunky sole units. 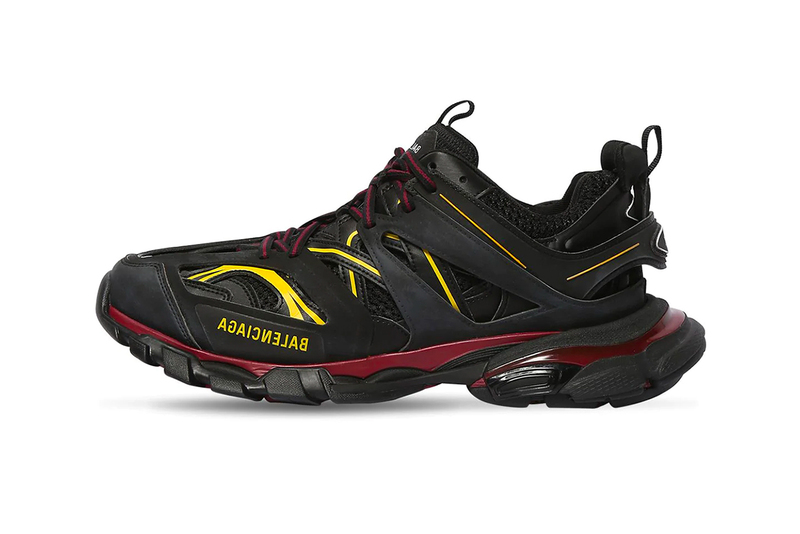 The shoe also sports contrasting hits of dark maroon red upon the laces and midsole area, in addition to the hits of bright yellow on the multi-layer upper. To finish, “Balenciaga” branding appears in yellow towards the front midsole and appears in white on the tongue area. Set at a retail price of $895 USD, this “Black/Yellow” Balenciaga Track Sneaker is now available at LUISAVIAROMA. For more footwear related news, have a look at a new silver colorway for the Nike Zoom Alpha. All of Disney’s movies will be available at launch or shortly after. The singer also does a blind soda tasting. Ranging from classic to modern styles. Nearly double the price it was sold for last time.